Creating the Perfect Chelsea Boot - Oliver Cabell | Valet. One brand's quest to make them affordable, comfortable and more durable than ever. Ever since the Chelsea boot's resurrection in Saint Laurent's fall '13 collection, the slip-on boots have emerged as the stylish footwear of choice for discerning men. 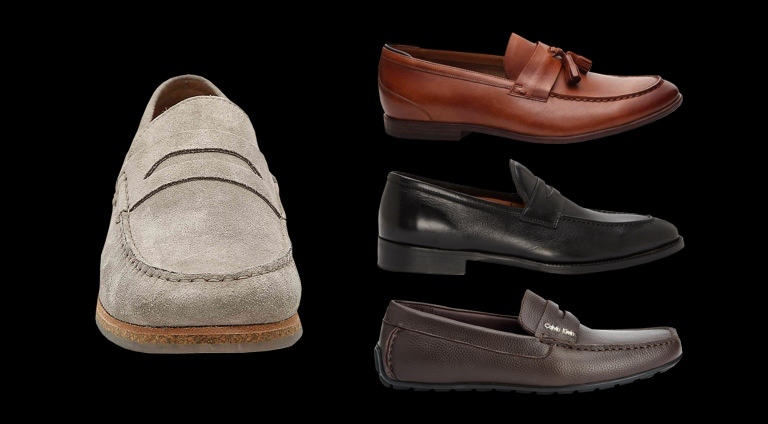 And while there are plenty of leather and hard-bottom options, the crepe-soled variety has emerged as the most accessible and stylish option to have right now. The downside is that it's hard to use the adage "gets better with time" when describing a pair. Because of their suede construction and softer sole, they don't fare well under the stresses of repetitive wear. But, that hasn't stopped trend-savvy celebrities like Kanye West and Luka Sabbat from copping a pair. Since not everyone can afford the $500+ Common Projects or Bottega Veneta boots their fashion-heroes are wearing, brands like New Republic started producing their own, more affordable, takes on the trend. Fast fashion outlets from H&M to ASOS have also offered countless cheap remakes. So you'd think: the market seems pretty saturated ... maybe we don't need another brand trying to make their own version of a Chelsea boot? 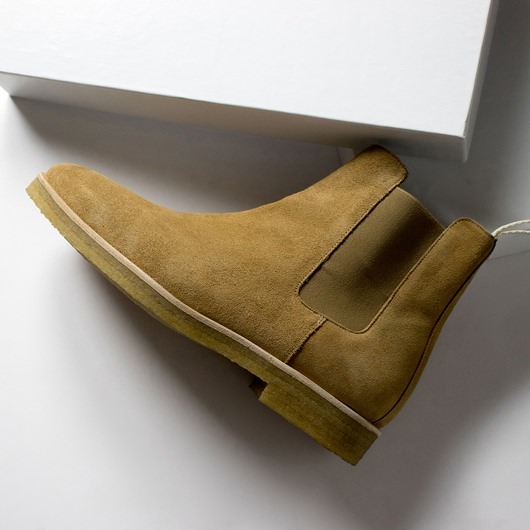 Especially a crepe-soled, suede-constructed one. 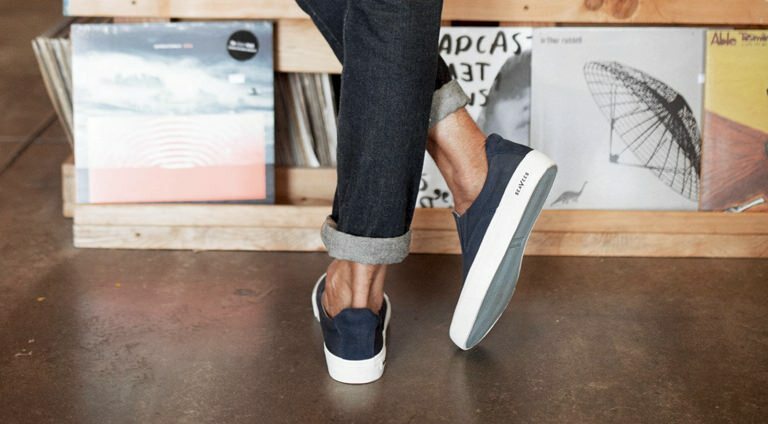 But, where other brands' iterations falter—the soles durability, the elasticity of the ankle, the coloring of the suede—one sneaker brand seeks to master. Oliver Cabell, the rising star of simple-staple shoemaking, made its debut in 2016. In just two years, the brand has taken the luxury footwear industry by storm; and the business operates with a different end-goal in mind. High-end footwear brands create their product using the finest of materials, build hype around its release, and work with a luxury retailer to set a retail price. That price is usually a steep climb from what the brand could sell their product at. But, it's carefully calculated to imply exclusivity and rush its sale; then, because the retailer did it for them, the brands can sell the product on their site, for the same price. Oliver Cabell, instead of aspiring to be on display in the finest shoe departments, are taking a more customer-direct route: only marking up the product enough to sustain their business, not a third-party retailer. Therefore, their prices stay well below their competitors, but the quality is up there with the best of them. 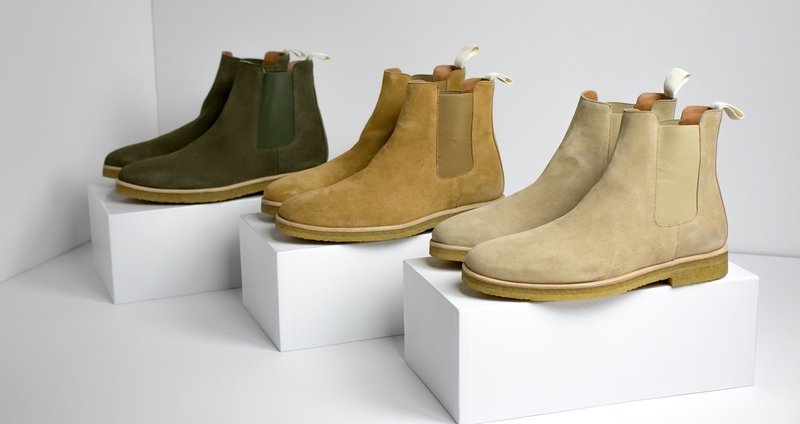 Their Chelsea boot, available today, comes in three standard colorways: a light sandy beige, caramel tan and olive green. But they went well beyond standard in every other facet of the design. To be fair and just, the brand had never even made a high-top sneaker before. So, with reasonable worry, the Chelsea boot needed to excel. There couldn't be anything gimmicky about the release. 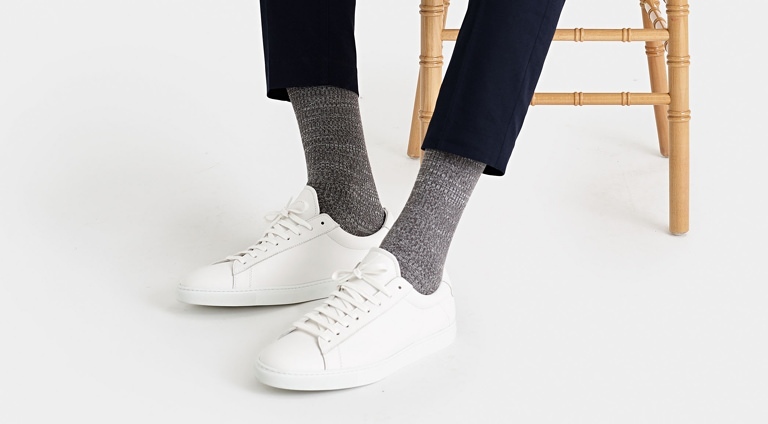 "We take our aesthetic from the small catalog of what we consider great, timeless footwear, which is like nine or ten silhouettes, says Scott Gabrielson, the brand's founder "For us, this is primarily surrounded around sneakers, however, we're not limiting ourselves. We then put our own spin on them, bringing in materials and process that are unique to Oliver Cabell." Speaking with Gabrielson, you can tell there's passion behind every release; there's his pure excitement about balanced design and high quality; there's his fair-hearted reasoning for the brand's direct-to-consumer approach. He talks of the boot like it's an antique, pulled from the archives of royal lineage: "Our Chelsea boots feature an upper of three-ounce Tuscan suede leather with a supple vegetable tanned leather lining from a small generational tannery in Spain," he says. "We worked with an Italian crepe supplier for over a year to create a custom natural rubber for our outsoles," he continues. He's genuinely excited about the finer details; it's obvious now, if it wasn't before, that this release is more about doing it better than it is about doing it differently. 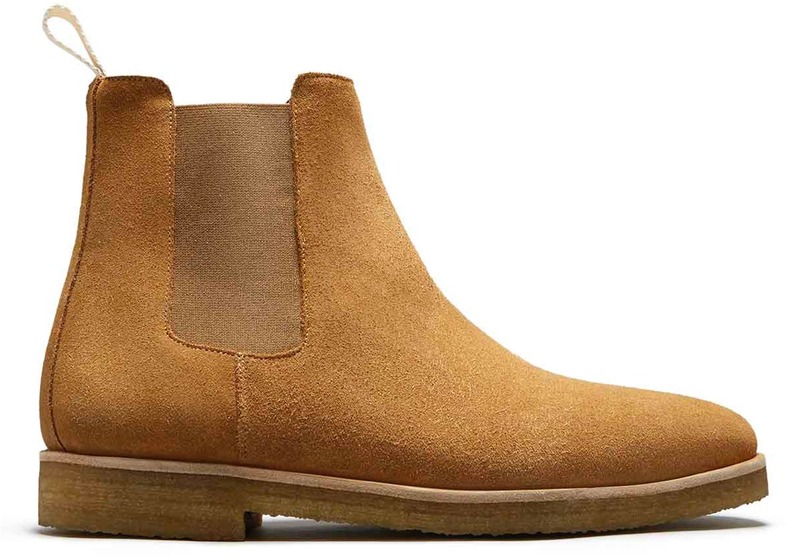 Though likely inadvertent, the Spanish leather lining is likely of the same template that traditional leather Chelsea boots were based upon when they were first made nearly a century-and-a-half ago. At this same family tannery, Flamenco Boots, the Spanish, elastic-less iteration of the Chelsea boot, were likely made. "Using 100% pure, virgin Hevea milk, for exceptional comfort and durability, the raw rubber is hand poured into sheets," Gabrielson says. 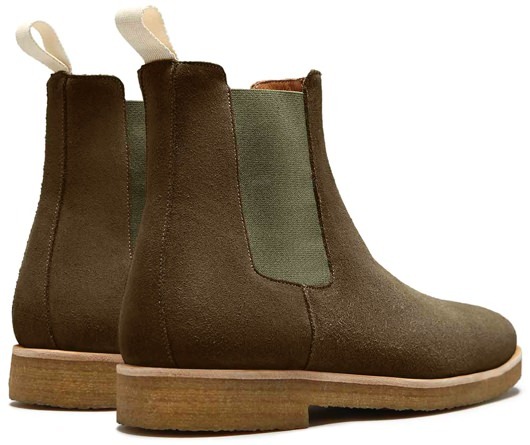 A consistent gripe among most Chelsea boot wearers is that the soles wear quickly; it's a fault of the aesthetic, sadly. If the crepe sole is what looks best afoot the muted suede upper, it'll get used—even if it doesn't last. "We import these natural rubber sheets to Spain to an outsole manufacturer to develop a custom crepe outsole that gives the boots a slightly chunkier appearance," he says. And that chunkier sole isn't just for looks. The thicker sole will help with both durability and comfort, and it'll help wearers keep the shoe in rotation longer. 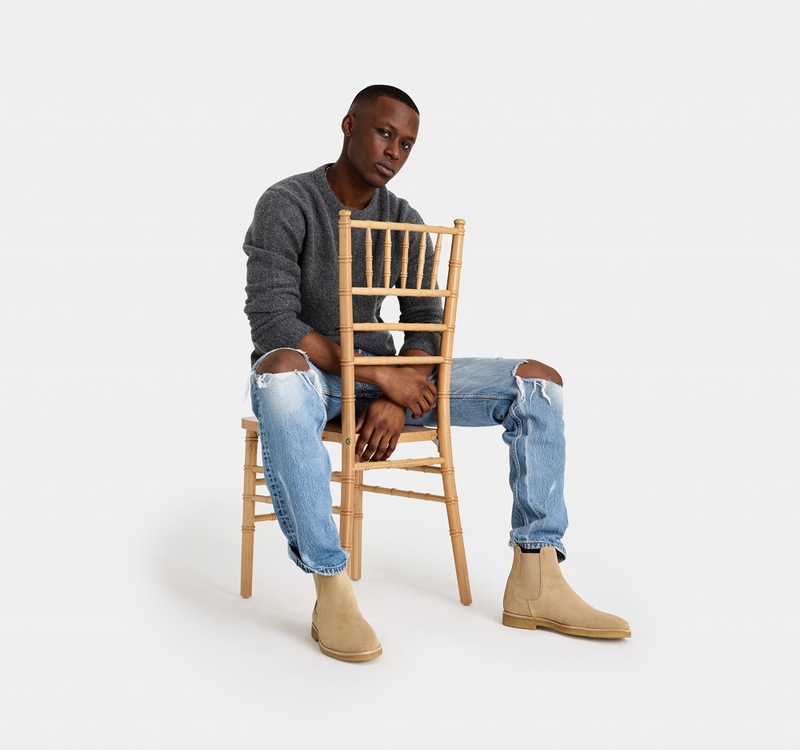 Oliver Cabell made a Chelsea boot that is more durable than most newer renditions and a Chelsea boot that's closer to its origins than its successors. And, clearly, that's not an easy thing to do. Chelsea boots originated in the Victorian era, and were first used for horseback riding. Not Feeling the Ugly Sneaker Trend? These Are for You.